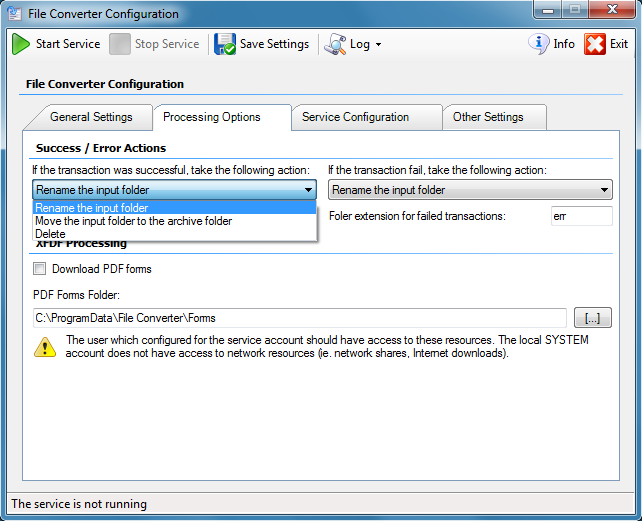 PDF(/A) Konvertier Dienst mit SOAP / REST – Web-Service. 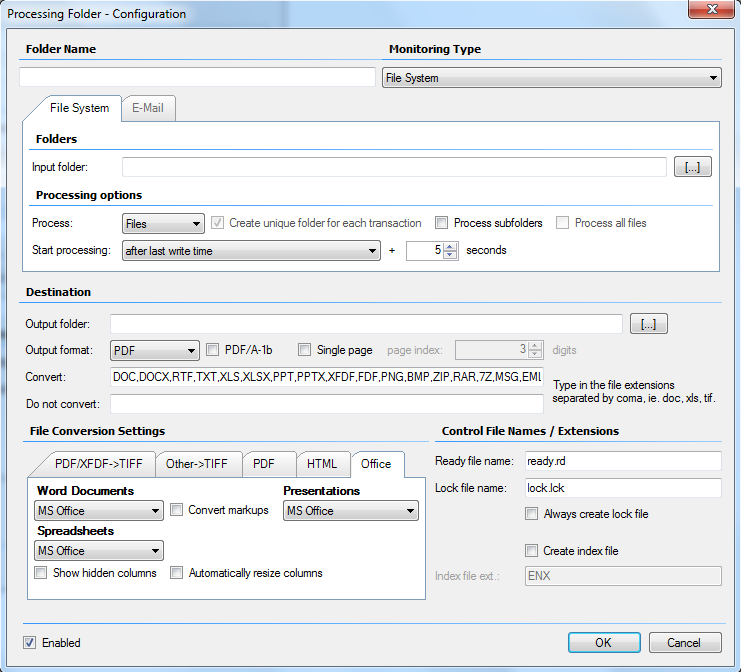 Der FileConverter Pro wird als Windows Dienst installiert und bietet Funktionen zur Konvertierung der wichtigsten Dokumentenformate nach PDF, PDF/A inkl. 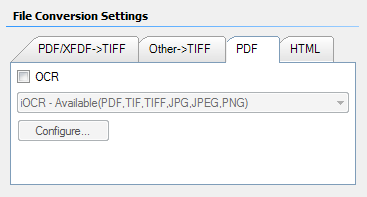 OCR über eine Web-Service Schnittstelle (SOAP oder REST). 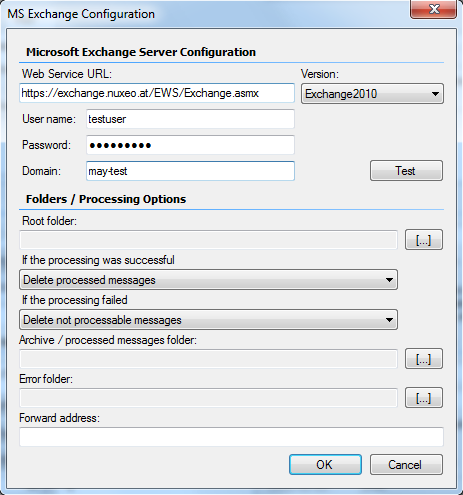 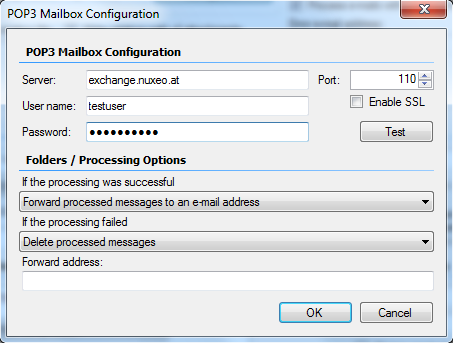 An error at the processing of MS-Exchange e-mail boxes via the webservice interface was fixed – the error blocked the service at times by which the service had to be restarted. 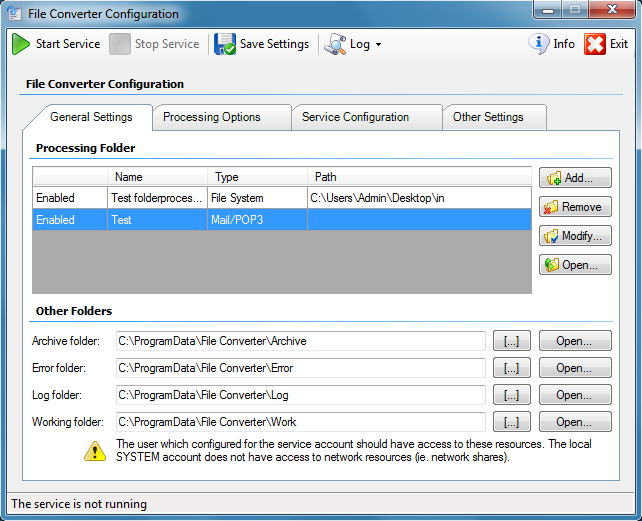 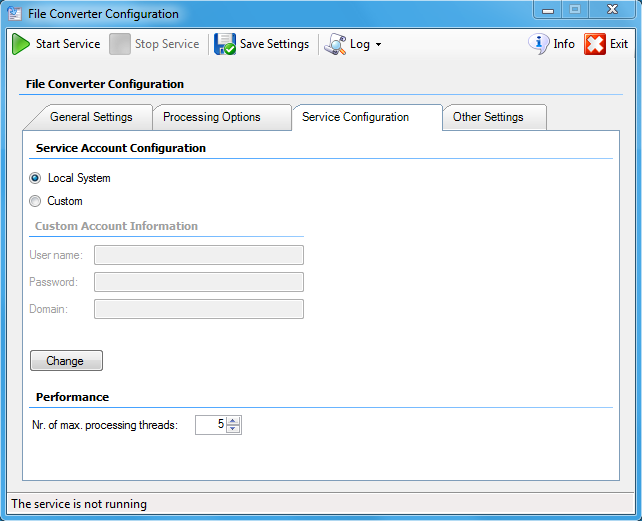 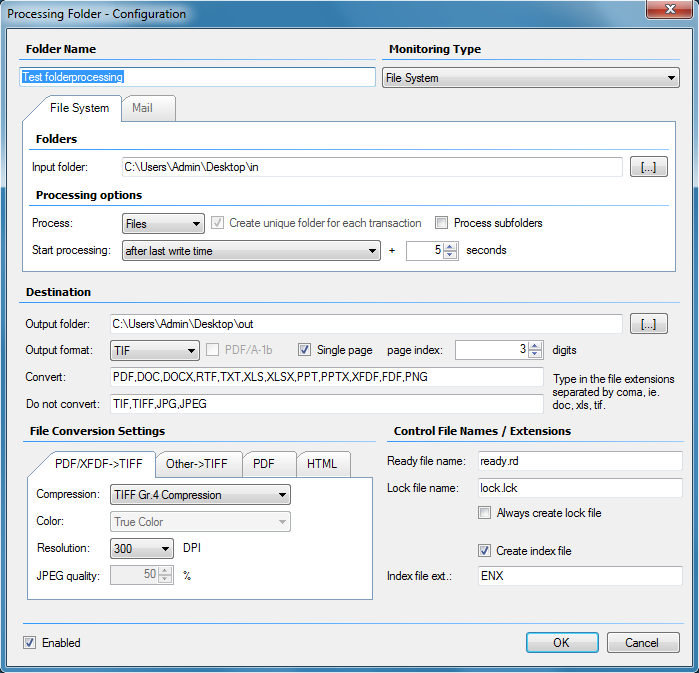 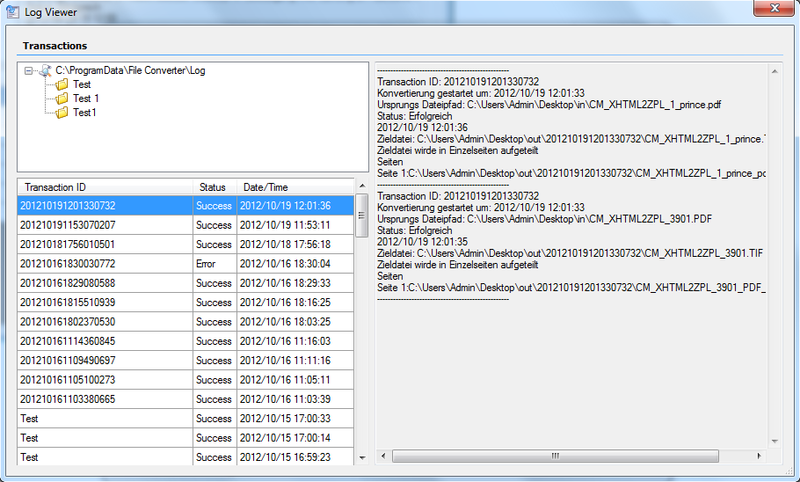 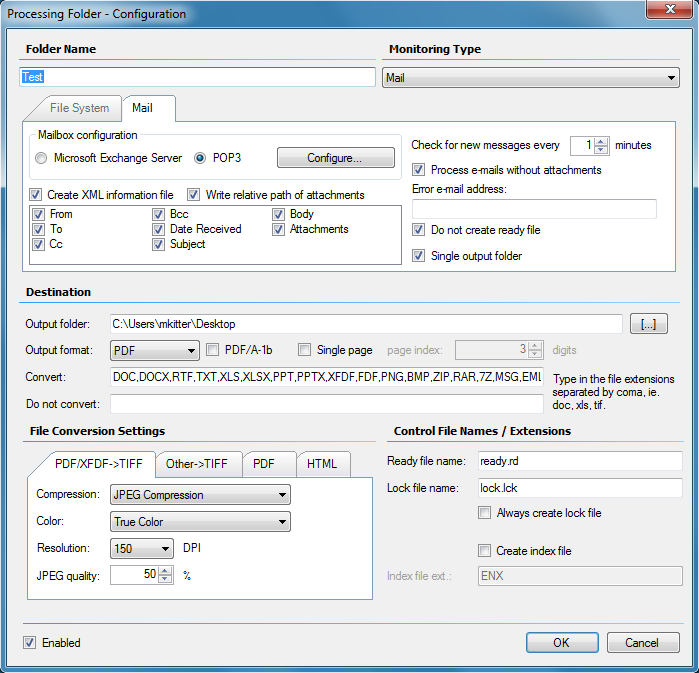 The underlying converter component was actualized and adjusted to the current state of the FileConverterPro. 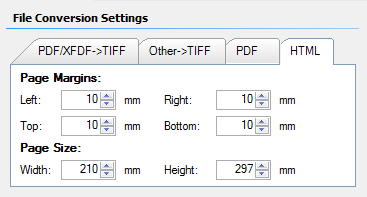 We recommend to use ASP-direct as standard because this converter displays the fonts bigger and therefor the created PDF’s are more readable. 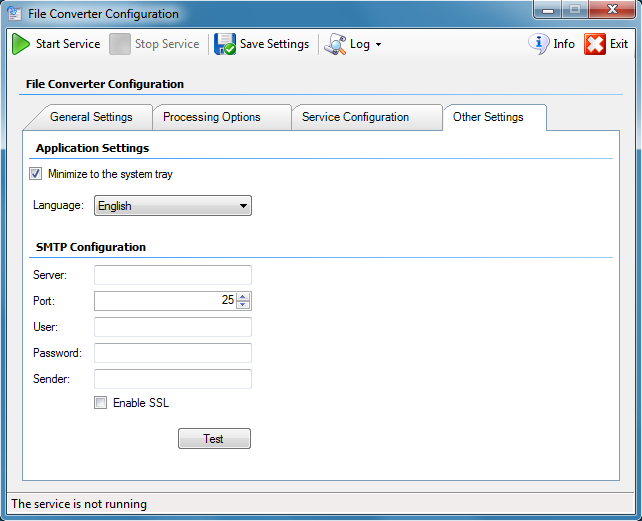 Caution: A “silent – uninstall” is only possible as an “administrator” therefor the command has to be given from “CMD”, started as “administrator”, or with a .BAT – file, executed as “administrator”.